Way before the Fourth of July became the excuse to get your warm-weather party on, there was the summer solstice (or midsummer)—when everyone from the ancient Greeks to the Druids would gather to honor the longest day of the year. And now that women’s circles are becoming a preferred social option for those who are over the bar scene, solstice celebrations are coming back into fashion with a high-vibe, ladies-only twist. Keep reading to find out how to celebrate the longest day of the year in high-vibe style. So what, exactly, do you do at a solstice celebration? According to Neese, it’s good to have some kind of organized ritual that brings everyone together and sets a mood. If you’d rather do something more meditative, she says, have everyone lay down and take long, deep inhalations and exhalations through the nose for 10–15 minutes—outside, if possible—and then rest for five minutes at the end to let it all sink in. Then, set some intentions for the season to come. “Go around the circle and have each woman share specifically what she wants to release and what she is grateful for,” Neese says. “Since summer solstice marks the sun moving into the astrological sign of watery Cancer, bringing in that water element is a wonderful way to honor the feminine and balance summer heat,” says Neese. That’s why she’s a fan of sun tea for midsummer parties—it’s literally tea brewed underneath the rays of le soleil. The summer solstice is all about the sun, which is why Neese recommends using it to inform your design scheme. Neese adds that you can also bring in fiery crystals—like carnelian, citrine, fire opal, garnet, rhodocrosite, and topaz—or stones associated with the zodiac sign of Cancer, such as moonstone, mother of pearl, and selenite. 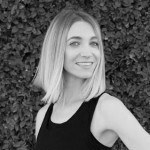 This is not the time to rock your black slip dress—Neese suggests keeping with the spirit of the occasion by wearing natural fabrics in light colors or brights like yellow and orange. And if you really want to stay on theme, you can even sync up your fragrance. “Warming scents of cassis, cinnamon, clove, cardamom, angelica root, and orange are lovely to wear,” she adds. Finally—an excuse to show off your favorite running playlist, for a different type of natural high. 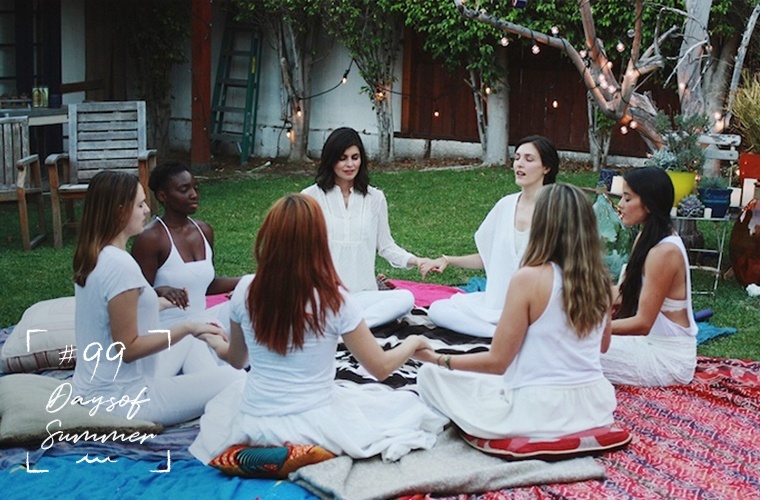 Give your next women’s circle a cosmic twist by adding in a new moon ritual— or make it all about self-care with this genius girls-night-in idea from Nina Dobrev.